Cold frames are perfect for protecting your plants from the British weather (which is never that great, if we’re being honest), making them great for gardening during all seasons. A bottomless box with a removable glass or plastic lid, putting your plants in a cold frame will give young plants the protection needed to grow in the crucial early development stages, and give delicate plants a chance of surviving. Cold frames are perfect for smaller gardens that don’t have the room to accommodate greenhouses, as they take up minimal space. 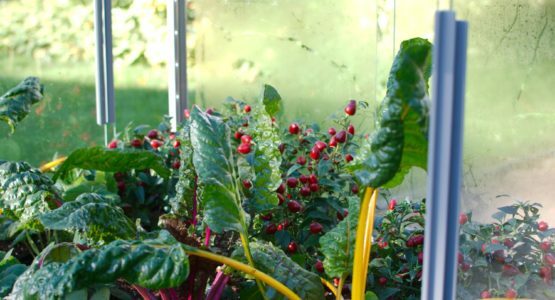 Here, we’ve put together a guide on everything you need to know about growing your plants in a cold frame, including what to grow in them, where to put them, and how to insulate them. What Can Be Grown in a Cold Frame? Most commonly, salad greens such as spinach, chard, arugula and a variety of lettuces are grown in a cold frame, but it’s not just limited to that. Other vegetables can be successfully grown in a cold frame too, including radishes, leeks and carrots. As previously mentioned, cold frames are great at protecting young plants, and delicate plants, as those are most at risk of harm from the extreme weather. When it comes to gardening, we all know that there are times of the year to plant certain types of vegetables, and your cold frame can really assist with this. In the autumn time, you can grow your larger vegetables in the cold frame, such as carrots and leeks. In winter, you can start to sow seeds for salad greens, and expect to see a harvest in March. Salad greens can also be planted in spring, or you can use your cold frame to protect the plants you start to grow for your summer garden. Don’t forget that when it comes to sowing seeds for your summer garden, you should wait until approximately five weeks before the last frost. However, as you can see, there really is no limit as to what can be grown in a cold frame. How Does a Cold Frame Work? A translucent top is angled south-facing, with plants sown under it, to help them gain as much solar exposure as possible. Using real glass rather than plastic also helps trap the hea better. Also, Cold Frames with glass sides help increase the solar exposure. Planted in the ground, a cold frame insulates and warms the soil that the seeds are grown in, and helps your plants to grow in even the harshest of conditions. Cold frames also provide protection from high winds and heavy rain. Plastic models will need to be firmly staked down to prevent them from blowing away, however a glass glazed cold frame will have enough weight to keep it on the ground in windy conditions. Cold frames with sliding doors are much better than lift-up lids, as they cannot be lifted up in the wind. You can make your own cold frame with a range of products, and they’re fairly easy to create. From a hole in the ground with a plastic covering, to a buried wooden structure, or an insulated raised bed created only from recycled materials, there are several options out there should you want to build your own cold frame. However, one of the easiest things to do is simply buy one. We stock a range of different sized cold frames, from 8ft x 4ft, to 2ft x 4ft for smaller areas, so regardless of the space you have and the number of plants you’d like to protect, we’re confident we have the right cold frame for you. To help make a cold frame warm, you should initially place it in the earth, as that will help to insulate the ground in which your plants will grow. Cold frames naturally create a warm and humid environment for your plants to grow in during the colder months. Whilst they’re unheated, they store solar energy in their structure and soil, to help keep plants warm. One option is to add a heating coil into the soil, as it will turn your cold frame into a heat box, allowing for consistently warm temperatures, and more growing success. Nevertheless, when the weather gets hot, a helping hand is often needed to ventilate your cold frame. Choose a cold frame that has sliding glass panels for easy ventilation, even on hot days; even better is a cold frame with glazing panels that lift out, as these can be removed in the Summer. Alternatively, you could invest in a solar venting arm, which will automatically open and vent your frame when the temperatures get too high. Which Way Should a Cold Frame Face? Ideally, your cold frame should be south-facing, so that it enjoys the greatest amount of exposure to the sun as possible. 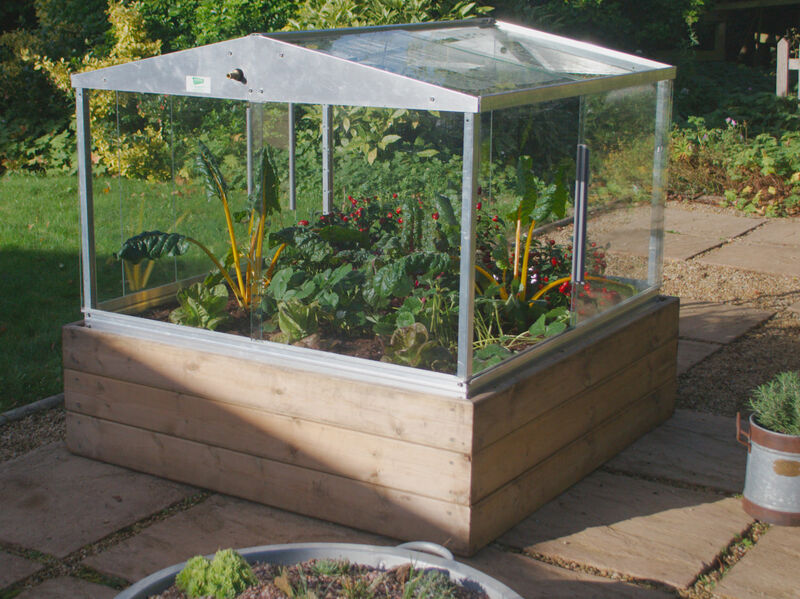 Cold Frames with glass on the sides as well as the top will maximise the amount of light inside and make a cold frame feasible even in shadier areas of the garden. One thing to bear in mind when setting up your cold frame is to ensure that it’s easily accessible, so you can regularly check on your plants and see how well they are growing. You’ll also need to keep an eye out for slugs, greenflies and other pests, to ensure they don’t cause any damage to your plants. Will a Cold Frame Protect from Frost? Cold frames can protect your plants from frost, but you need to remember to keep the frame closed at night. On days where the weather is particularly harsh, covering your cold frame with bubble wrap, blankets or layers of newspapers will provide your plants with extra warmth, helping to protect them from the frost. Alternatively, a small heater can be used to provide frost protection on very cold nights. To conclude, cold frames are an ideal option for your garden if you need to protect your plants from harsh weather conditions – which, in the UK, is a reality for many gardeners. Cold frames carry many benefits for your plants, and are perfect for even the smallest of gardens. If you have any questions about our cold frames, then give us a call on 01788 822301, and we’ll be happy to help. Alternatively, you can also take a look at our mini greenhouse growing guide.